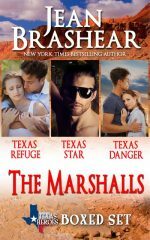 Texas rancher Case Marshall is driving a truck instead of his hell-raiser Harley after a crooked partner nearly bankrupts his Flying M Ranch. New Orleans socialite Samantha St. Claire never dreamed she’d be on the run from the mob–or that she’d find her white knight at a truck stop. 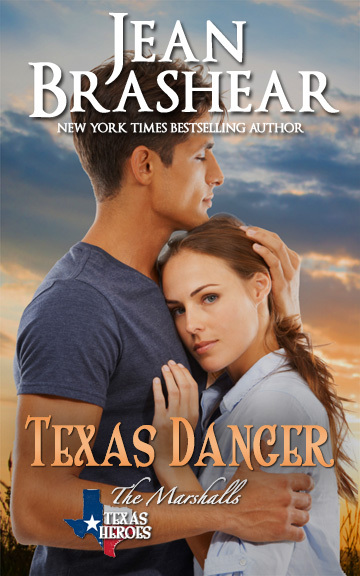 Their worlds couldn’t be less compatible or their attraction more high-octane…but there are dangers and shocking secrets to battle before they can dream of a future together. The road to hell sure had been more fun than this one. So why had he given up the sweet life of no strings, hot women and his Harley? Oh, yeah, right—his damn fool notion to save the Flying M Ranch he’d gladly left behind so long ago. But not for Black Jack Marshall’s sake. His father was gone, and no one was shedding tears over the loss. Wiley Cantrell, however, deserved better. He’d been more a father to Case than Black Jack ever had, but he was only the foreman. The ranch was in the hands of the son Black Jack had hated, and the old man was probably spinning in his grave over that. So here Case was, driving a big rig, the only one left from his grand notion of diversifying. He’d been well on his way until he’d made one crucial mistake: trusting a smooth-talking stranger who’d helped him get a loan the local bank couldn’t extend. Then vanishing one day with nearly every dime Case had put together to save the Flying M. Now Case was back where he’d started, nearly dead broke and itching to be anywhere but here. He had another option: his obscenely wealthy cousin Josh Marshall, a big star in Hollywood, who’d probably loan him the money. But he’d never ask. Not after the way Black Jack had given the finger to his whole family in his teens. Case had only met Josh and his brother Quinn a couple of times as a kid, but from what he knew, their whole branch of the family was solid and upstanding—the exact opposite of his dad. Black Jack would have asked for the loan in a heartbeat. But Black Jack would never have paid it back. Case might have his own checkered past, but he was not his old man. He’d long ago lost count of the fights they’d had, the beatings he’d endured. Finally, it had been easier just to leave. Scary as hell to be alone at sixteen, but it beat battling his old man until one of them wound up in the hospital—or worse. But forget Black Jack. Wiley had left a message asking Case to get home as soon as he could. He’d said they might have a lead on Case’s cheating so-called partner. Case hoped to hell Wiley was right. He itched for revenge, though he was the fool who’d trusted too easily. But first he needed fuel. And coffee. He turned into the Lazy J Truck Stop and pulled up to the pump. Samantha St. Claire was exhausted. The terror she’d barely held at bay in New Orleans had preyed on her mind every mile she’d driven, running for her life. For the lives of her family. 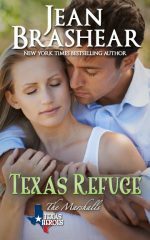 She’d hoped to find her Uncle Roland in San Angelo as promised in the cryptic letter that had sent her serene, orderly life into free-fall, but her favorite relative had vanished—and now she had no idea what to do or where to go. Only that she couldn’t go home. Uncle Roland was the black sheep of her mother’s family, but he’d always doted on her, and she’d thought his days as a scoundrel were long over. Apparently not. His misdeeds couldn’t include something simple like sleeping with the wrong man’s wife or drinking too much, though—oh, no. He’d gotten himself right in the crosshairs of the biggest crime boss in New Orleans. Even Samantha, with her patrician family background and her staid job as a banker, had heard of Etienne Gascoigne. She would never have dreamed, however, that their paths would have any reason to cross—but she’d learned better. His men had come for her. Had vividly demonstrated that her social standing meant absolutely nothing. Had forever robbed her of the ability to feel safe. And they’d threatened her family. If she breathed a word of what she’d learned, what she’d endured that terrifying night would be nothing to what they would do to her dignified father, her beautiful, fragile mother or her two beloved sisters. She’d fled New Orleans in haste, withdrawing only the paltry sum she could take from an ATM. Raised to be her father’s princess and a leader of New Orleans society, however, she’d made a rookie mistake that first day in handing over her credit card without thinking—then asking for it back too late. One of her attackers had shown up in the parking lot of the cheap motel that night. Her red Porsche was far too noticeable—another mistake. She’d rectified it by climbing out the bathroom window of the motel that night, and she’d faced the fact that her precious car had to go. In Houston, she’d traded it in—and lost her shirt on it—for the distasteful but anonymous sedan she feared wouldn’t last long enough to get her to Uncle Roland. But she’d been too frightened to battle over the cost. Her situation had rapidly become deadly serious, and all that had mattered was getting away from the men who were after her. She couldn’t contact the authorities; she couldn’t ask her family for help. It didn’t matter that she had no experience with subterfuge, that this shadow world she’d entered was light years from all she’d known. Until she found her uncle, she was on her own. There was no one to turn to, no one to trust. But now that junker car wouldn’t start. She’d left it a mile down the road from this truck stop and hiked here to buy herself time to think. “Hon, you sure you don’t want to eat something? You need some meat on those bones, and you look dog tired,” said the waitress named Jolene who’d been refilling her coffee cup for the last hour as Sammie took up space in a booth she had no right to monopolize. But she didn’t know how far her scarce funds would need to stretch. How she would ever find more—an irony when she had ample savings in addition to a trust fund. “I’m okay. Thank you. I-I guess I should—” Go, she was about to say. But Jolene’s attention had shifted to someone headed that way.